Frank was christened Francis after he was born in Rothley in 1824, but soon came to be known as Frank. This was in memory of an earlier birth of a Frank in 1820, who survived for just two months. The Franks were the sons of Dawson and Mary Fowkes [nee Bostock], who farmed from a base in Fowke Street. Dawson died in 1860, and his widow and the unmarried Frank retired to live in Anthony Street. 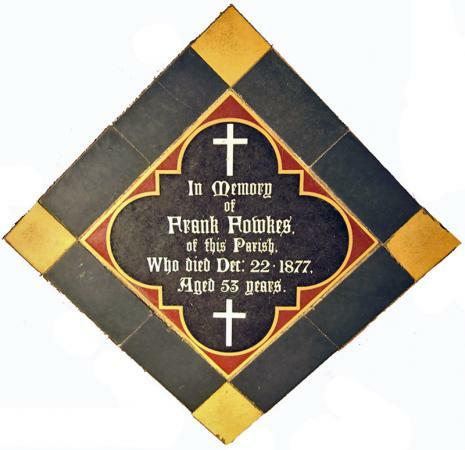 Mary died in November 1877, Frank following her into a churchyard grave a month later. XHTML 1.0 validated. WCAG compliant. Page generated in 0.1136 seconds.